personalize each dance lesson based on your individual needs, desires, and goals, adjusting our teaching style to your ability, personality, and expectations. This ensures the most thorough and rapid learning process, all the while keeping it fun, easy, and comfortable. Wedding choreography create routines for each wedding couples and wedding parties according to the music selected. As the routine is being created, we will teach the steps to the wedding couple in the private lessons. We will demonstrate routines by performing the dance themselves. After showing the steps, we will then help the couple to perfect the movements, technique and timing. For those who have the passion to perform, or who just secretly want to try it out for once, we will provide you the opportunity to venture into the exhilarating side of performance by presenting several shows throughout the year where you get to be the star! It’s completely normal to be a little nervous, but if you just give it a try, you just might not get enough of the rush. Extensive knowledge of the instructor who is well rounded in all styles of dancing such as Ballroom, Country, Latin and many other popular social dances. Lessons are guaranteed to your expectation. No long term commitments. You will not be entering into lengthy contracts as with most other dance studios in town. Flexible hours. Private lessons are scheduled around your convenience. Your first consultation starts at $30 for 45 min. Multiple locations. Lessons can be held in Mesa or North Scottsdale. Give us a call and schedule your first 45 minutes consultation for $30. Get started….. I feel grateful for my dancing to have Mr. JC Yeh as my instructor. Grateful for his knowledge, his ability to teach, his professionalism, his patience and his sense of humor. He honors the individual and what they need and want in their dancing, whether it’s social, performance, competitive, or away to be in tune with yourself through dancing. I feel grateful because he cares and is passionate about his profession. He cares about you as an individual, your dancing, and your understanding of dance. He is not a surface teacher making you look good on the outside without truly giving you the knowledge within to understand the essence of movement in dance. He is able to convey his knowledge of dance in a fun and easy way. His teaching is multidimensional, so it doesn’t matter what type of learner you are; visual, auditory, kinesthetic … he is able to meet your learning needs. I feel grateful for the friendships I have gained through learning to dance with Mr. Yeh. I have met so many wonderful people because they too share a love for dance. I may never have met them, if not for being a student of Mr. JC Yeh’s. After many years (and many many $!) with one of the major studios, I realized that I was not learning to dance, I was learning ever more complicated steps that I could only perform with my instructor. Yeh changed all that - he taught me how to stack my body up correctly, to be in a position to follow, and that has improved my dancing, and my enjoyment of it, no end! last year, and we’re currently working on Salsa for my upcoming trip to Cuba. What could be better! Mr. Yeh has been my instructor for many many years. 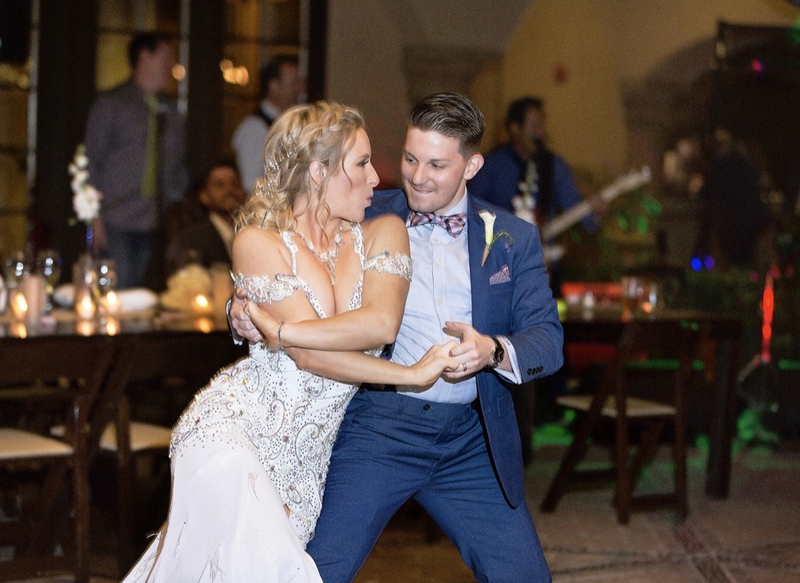 He has been my private instructor as well my husband and my couple’s instructor in both competitive dance as well as social dance and the occasional showcase. He is wonderfully kind and has the patience of a saint! And knows his business! If my husband or I don’t understand what is being taught he always tries to explain whatever it is in a way that we CAN understand. Of course he demonstrates the movements as well. Never has he forcibly placed either of us in a position because he cannot explain what we need to do. Believe me, this is important because I have been required to dance with other instructors when I competed, and often was forced to do something my body just did not like me to do. He respectfully listens to questions and answers them no matter how many times or ways the same question is asked. Neither will he hold you back from advancing as we have witnessed so many other instructors do. If you have the ability and desire to go on, he is the teacher for you! We hired him to teach our children their wedding dances. No easy task there, but he succeeded. Not a single complaint. Now our little grand babies love him, too! As my husband and I have gotten older and I have injured myself outside of the dance world, Mr. Yeh has also adjusted his teaching to accommodate our shortcomings. Truthfully, I have injured myself so that we can no longer compete, but we love it so much that we continue taking lessons from Mr. Yeh. Currently, after a forced 6 month break we are again taking lessons with him as part of my rehab from a torn Achilles acquired when I missed the last step at a friend’s house. He is the best and we cannot complement him enough to convey just how knowledgeable and capable an instructor he is and what a wonderful human being he is as well. There is an old saying that everyone has to start somewhere, so be you man or woman, just take the first step to a lifetime of enjoyment, and make sure you dance with Mr. Yeh! Enhance your love of dance! For ten years, I have joined JC Yeh on the dance floor for lessons and showcase routines, and it has turned my love of dance into almost an obsession. That's a good thing! If I could take a lesson every day, I would. Mr. Yeh has fine-tuned my dance technique through the years and given me the confidence to perform in front of others. He has the ability to perceive what my strengths and weaknesses are and focus on them to improve my dancing. This has carried over to my social dancing, so that I can be a better partner in a social setting. I highly recommend his expertise to anyone who wants to begin or enhance his or her dancing. I have been dancing with JC Yeh for the past two years and it has been a positive, growing experience. When I first started dancing with JC Yeh I was very introverted and lacked self confidence, but Mr. Yeh has a gentle approach with excellent teaching skills, which helped me to relax and trust the process. Mr. Yeh is extremely talented, knowledgeable and passionate about dance. His passion is reflected in everything he does on the dance floor. He worked with me at the level I was at; He explained the steps and demonstrated slowly so I could become confident with them. My self confidence along with my personal relationships and my dancing have greatly improved. If you choose to dance with Mr. Yeh, you will not be disappointed. I have been taking dance lessons with JC Yeh for eight years and my dancing has improved by light years. I needed a teacher to challenge me and push me outside of my comfort zone. JC has certainly done that. Mr. Yeh is an extremely knowledgeable and experienced professional. He has a way of teaching and explaining things that make the lessons informative and fun. His showcase routines are amazing and a blast to perform. Whether you are a beginner or experienced dancer, JC Yeh can help you reach your goals.